I thought you’d like an Instant Pot Vegan Meal Plan to get a head start on next week. I’ve got 7 main dishes, plus a breakfast and dessert recipe. A few of the recipes are from my book, The Ultimate Vegan Cookbook for Your Instant Pot, but many are exclusive to the blog. If there is an Instant Pot recipe you’d like to see me develop, please leave me a note in the comments. 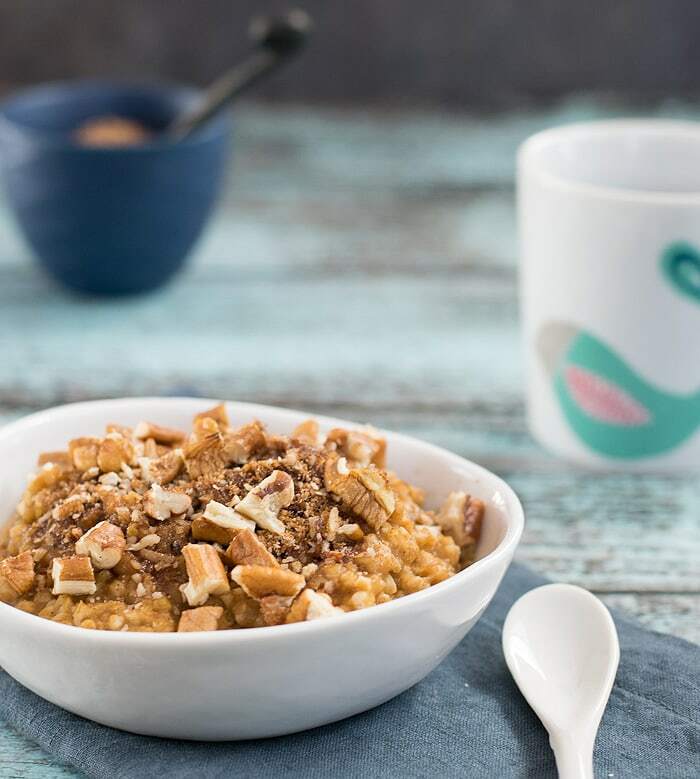 Breakfast: Satisfy that pumpkin craving by making a big batch of Instant Pot Pumpkin Coffeecake Steel-cut Oatmeal to eat on all week long. Monday: Might as well start off the week with a super easy recipe. This Budget Friendly Spiced Instant Pot Lentils and Rice recipe will have your family thinking you spent a ton of time making dinner, so make sure they do the dishes! 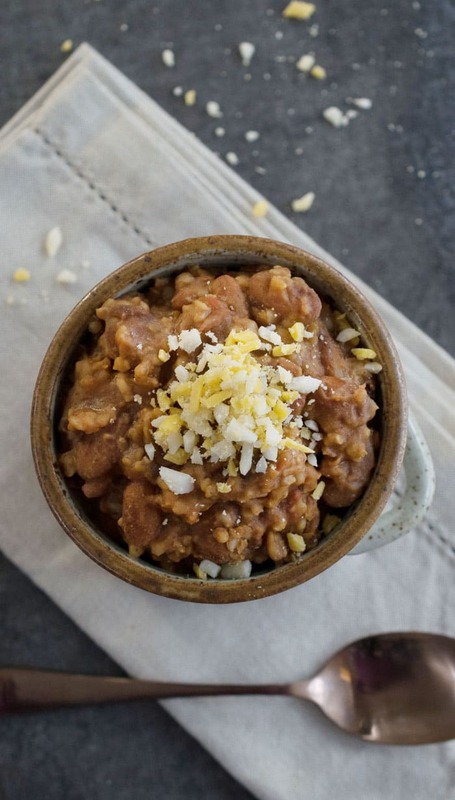 Tuesday: You deserve a batch of Instant Pot Cranberry Bean, Millet and Bulgur Chili. Eat it tonight with your favorite toppings, then toss the leftovers with cooked pasta and you’ll have chili-mac for lunch the next day! Don’t have cranberry beans? You can use another heirloom or plain old pinto beans. Also you can substitute quinoa for bulgur if you’re gluten-free. 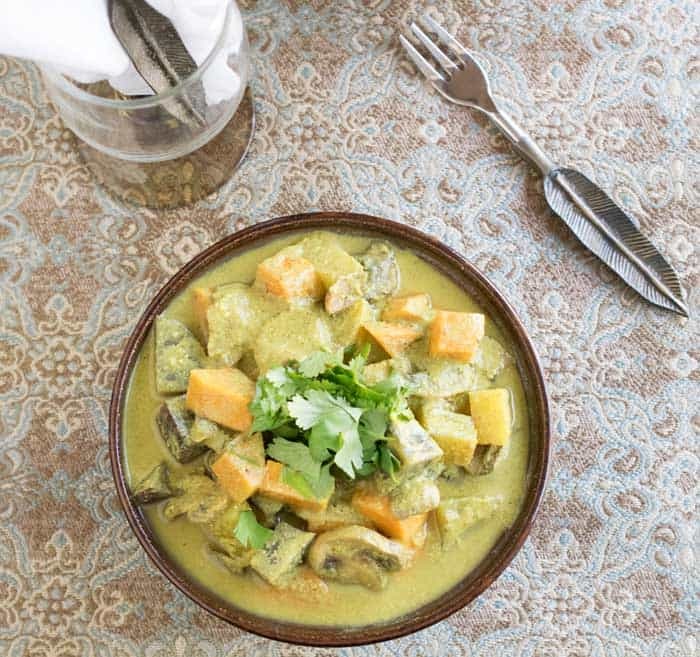 Wednesday: In this Instant Pot Creamy Mushroom Curry and Pilaf you get to cook 2 separate dishes in one IP at the same time. All you need is an oven safe dish to place on top of the rice layer – I use these 3 cup Pyrex dishes. 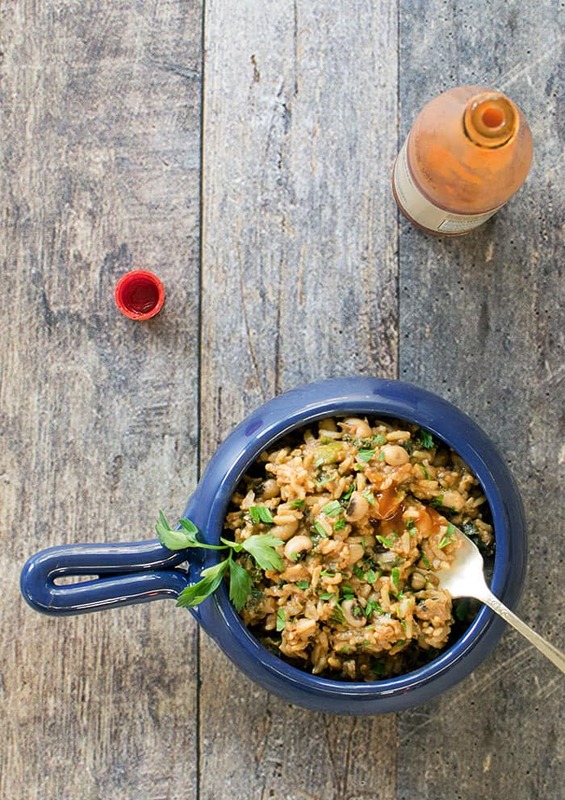 Thursday: This Vegan Black-Eyed Pea Jambalaya is another great one pot meal. Everything cooks together and leftover freeze well too! 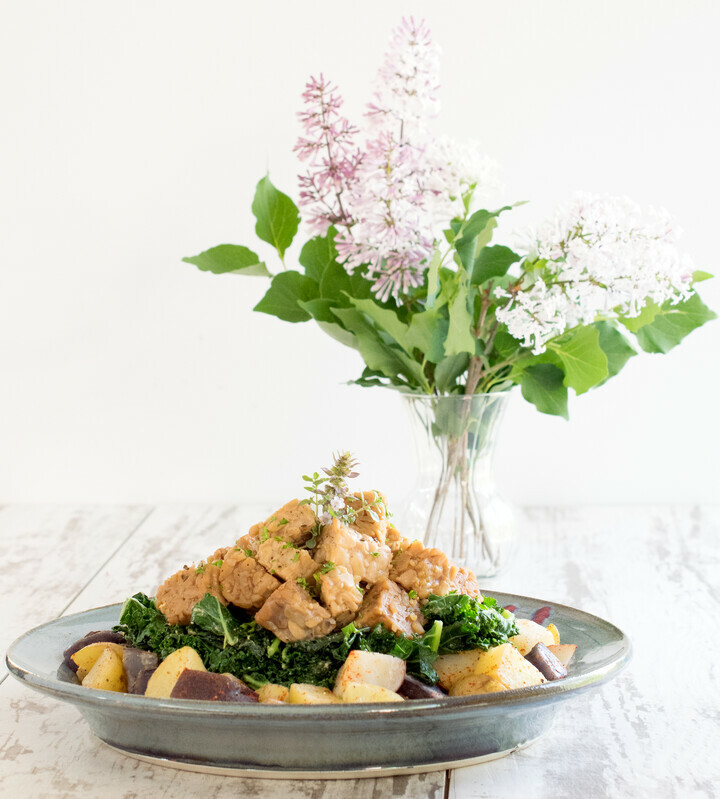 Friday: Have breakfast for dinner with this Tempeh, Idaho® Potato and Kale Bowl. 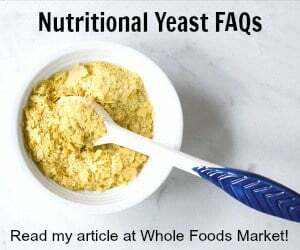 You cook it in 3 layers and you can use hempeh or chickpeas if you avoid soy. 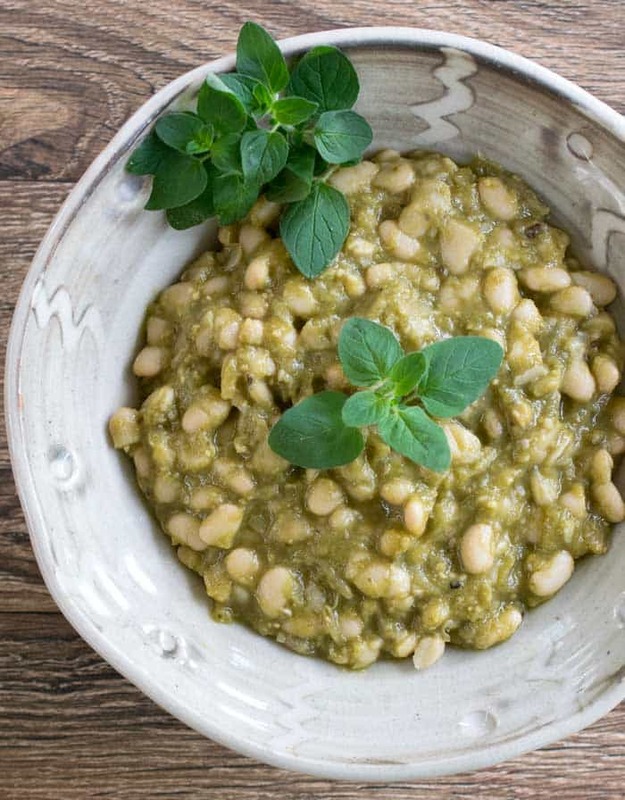 Saturday: These Tomatillo-Poblano White Beans are easy to make and delightful to eat. 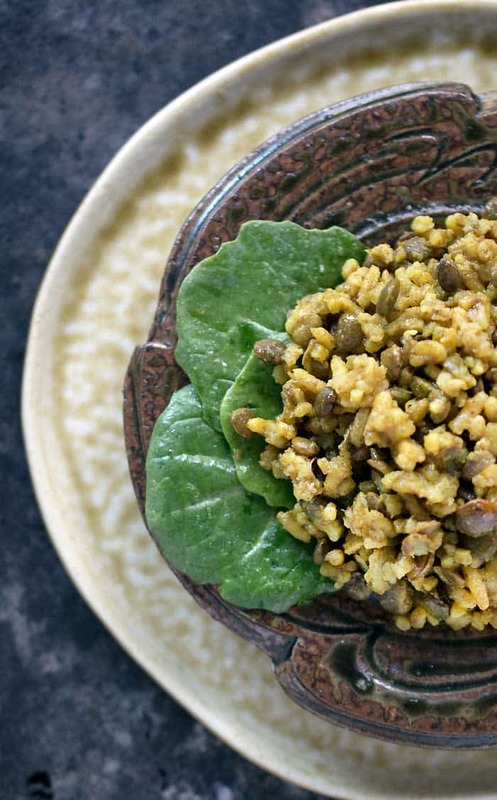 Eat over a steamed grain, in burritos or tacos. I always freeze leftovers wrapped up in tortillas for a fast dinner on a busy day. 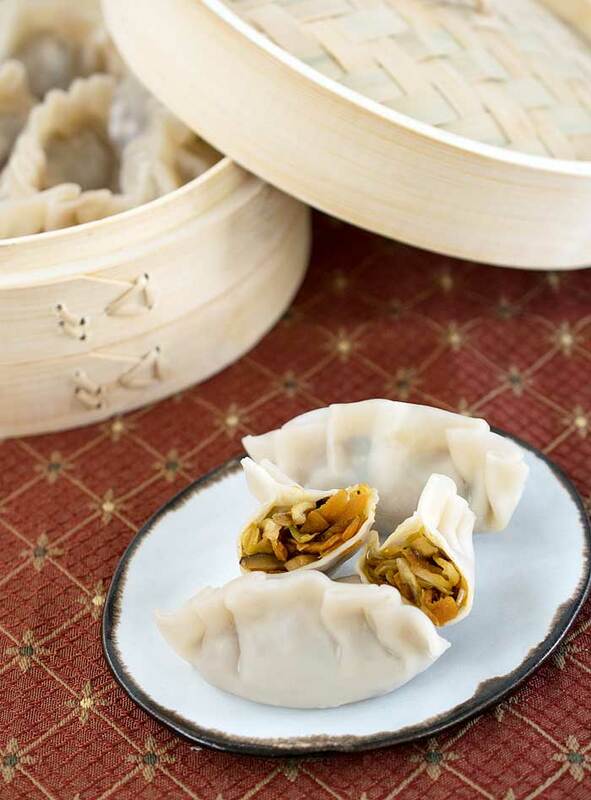 Sunday: Treat yourself and make some homemade Asian Steamed Dumplings. We’ll use the steam setting on your Instant Pot to cook these up. Note:I do buy wrappers at the Asian market because they have vegan ones there, but in most grocery stores they contain egg. Be sure to carefully read the labels. Dessert: Your Instant Pot makes a super moist cake, almost like a steamed cake. 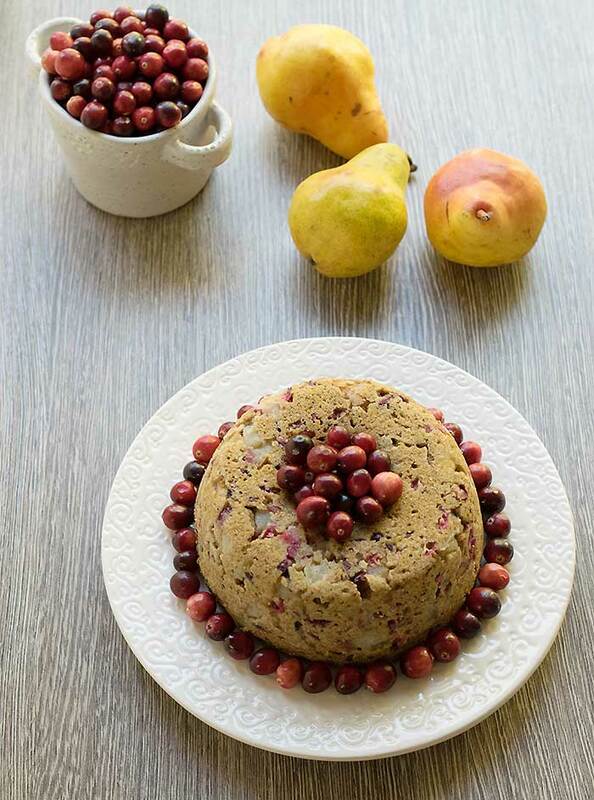 This Vegan Pear and Cranberry Instant Pot Cake is healthy, has half the sugar, and making this one gets you into practice for all the holiday baking coming up. 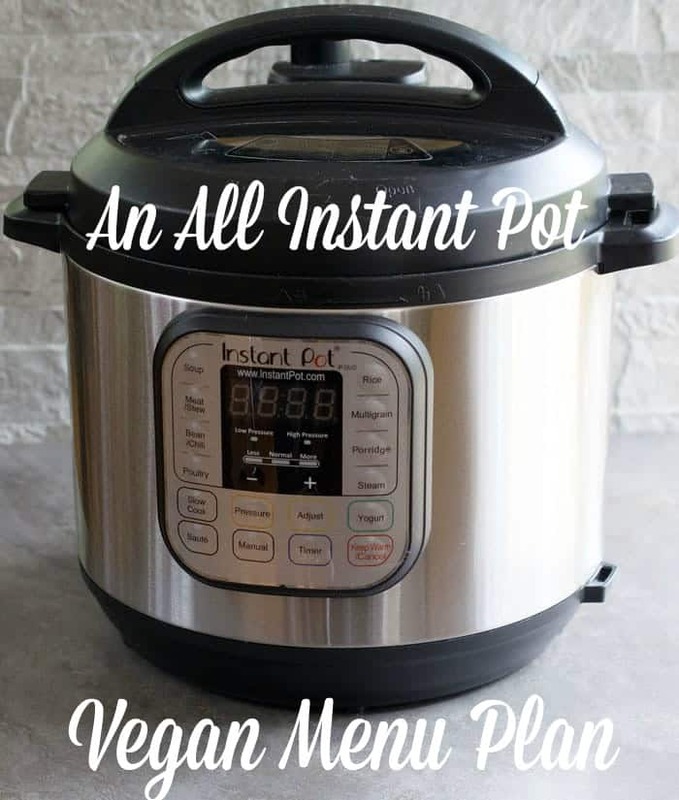 Instant Pot Vegan Menu Plan: Quick Back to School Meals that Wow! Really enjoying reading your recipes . I might have to buy one of the instant pots!!! All of these recipes look amazing! I don’t use my Instant Pot nearly enough. Thanks for the reminder! I’m half of an Old Vegan Couple. A pressure cooker is what I was used to, but now that we have an instant Pot ~ my recipe ideas are dwindling. Thank you for sharing your recipes !! We do love this new IP, and are anxious to try your bill of fare !! I am so excited the $99 insta pot was on sale today for $69 and I bought your cookbook with it on Amazon. We are only vegan for 5 months so this is an exciting adventure! I then googled your name and “recipes ” and found your great web site. I am so eager to learn new recipes. I can not believe you have a recipe for Asian garlic sauce. Baby book Choy with garlic sauce is my favorite take-out and I had no idea how to make the sauce.